NHS England » Multimorbidity – the biggest clinical challenge facing the NHS? Multimorbidity – the biggest clinical challenge facing the NHS? Around one in four of us have two or more long-term conditions (LTCs), often known as ‘multimorbidity’ and this rises to two thirds of people aged 65 years or over. In this joint blog, Dawn Moody and David Bramley argue multimorbidity is therefore becoming the norm. They take a look at the adverse impact this can have upon individual quality of life and examine its association with higher mortality, adverse drug events and greater use unplanned care. Care for people with multimorbidity is complicated because different conditions and their treatments often interact in complex ways. Despite this, the delivery of care for people with multiple long term conditions is still often built around the individual conditions, rather than the person as a whole. As a result, care is often fragmented and may not consider the combined impact of the conditions and their treatments on a person’s quality of life. The recent publication of the NICE guideline on multimorbidity offers clear direction in this complex area. It uses a tailored approach to put people at the heart of decisions about their care and helps professionals and commissioners to offer their best advice and support. Skilled clinical judgement and good communication are key to providing good care for people with multimorbidity. Frailty is a long-term condition which can predate crisis by a decade or more and many people with frailty also have multimorbidity. The electronic Frailty Index (or eFI), winner of the Healthcare IT Product Innovation category at the EHI 2016 Awards , uses existing coded data from the electronic primary care record to identify frailty in people aged 65 years or over. The Guideline recommends considering use of the eFI, which is now freely available in Systm1 and EMIS (covering around 90% of general practices) and can be easily and accurately used to identify older people most likely to benefit from this tailored approach to care. Starting by asking ‘what matters to you?’ rather than ‘what’s the matter?’ promotes a focus on person-centred care rather than on individual medical conditions. Offering extended consultations, or combining appointments previously conducted separately, allows the time needed for multimorbidity. Longer consultations can improve assessment and planning, enabling a more holistic approach. This should empower self-management and reduce the number of subsequent consultations. A well thought out collaborative planning process is crucial for people with multimorbidity. This identifies what’s most important to people. It is equally important to share (where appropriate) and keep readily available and regularly updated documentation of the outcomes of discussions and decisions made. The enriched Summary Care Record can help coordinate across care settings by enabling sharing of key information, subject to patients’ explicit consent. arrangements for follow-up and review of decisions. Mental health and cognitive problems can be barriers to self-care and management of both physical and mental health conditions. They are important factors to consider when discussing care with the patient (and their carer). Collaborative working should include professionals coordinating care between primary and secondary physical and mental health services. Although more common in older people, multimorbidity, can also occur in younger people. People living in the most deprived areas have double the rate of multimorbidity in middle age than those living in the most affluent areas. This means they develop multimorbidity 10-15 years before their more affluent peers. Rates of multimorbidity in older people are largely due to higher rates of physical conditions. However, in the less affluent, multimorbidity due to combinations of physical and mental health conditions is common. Informal carers, friends and family, often provide considerable support to people with multimorbidity. It is important to take an integrated approach to identifying and assessing carer health and wellbeing. As part of establishing a patient’s goals, values and priorities, ask how they would like those important to them to be involved and seek consent to share copies of the care plan. Remember carers have worse health outcomes than people who are not carers and that they might need support too –although 70% of carers come into contact with health professionals, only around 10% are identified. Managing multimorbidity may feel daunting, but this new guideline offers many opportunities to improve care. In time we expect to look back on this publication as a major step forward in tackling one of the biggest clinical challenges facing the NHS and health systems around the world. David is Deputy Head of NHS England’s Long-Term Conditions Unit. He started his public sector career working for the Ministry of Defence before moving into Health around 10 years ago. David has worked in a range of roles supporting organisational change and collaboration including diversity policy in the Armed Forces through to overseeing the smooth closure of Arm’s Length Bodies for the Department of Health. 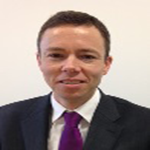 In NHS England, David’s main focus is clinical strategy and policy on frailty and multimorbidity. Associate National Clinical Director for Older People and Integrated Person-Centred Care for NHS England. Dr Dawn Moody is a GP in Derbyshire who has a special interest in frailty and person-centred systems of care. She has worked with commissioners, providers and in research in this area and holds an MSc in Geriatric Medicine. 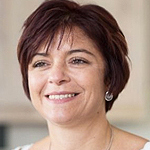 Dawn’s current portfolio includes her directorship of Fusion48 being the Clinical Director for Health Education England (East Midlands) Nottinghamshire Frailty Toolkit and Training Programme. She is also Frailty Lead for the West Midlands Primary Care Workforce and Improved Patient Access Plan, Prime Minister’s GP Access Fund Wave 2 Scheme. Dawn’s previous roles have included Clinical Associate (Frailty and Complex Care) at North Staffordshire CCG and Medical Director North Staffordshire Community Healthcare. She has been a Partner in General Practice for 16 years and GPSI Geriatric Medicine and intermediate care. Iwas lying on my ‘death bed’ with ny brain driving me mad with morbid thoughts when a voice in there shouted ‘Morbidity’! I’ve always suffered with thiscomplaint on and off and now that I’m 70 and mukti handicapped it makes perfect sense. But like Mamina Elsie says, doctors don’t like patients who self diagnose their own conditions. If I had athyroid imbalance I could take thyroxine but anti depressants only makeme feel worse. Please contact your GP or call 111 to discuss this with a healthcare professional. I am currently undertaking a Darzi Fellowship as a Senior Nurse and I am doing some work on co-production. Would it be possible to discuss this in more depth to understand how you included co-production with the work you’ve been doing with LTC? This work is shining a much needed light on a very important issue given an ageing UK population and ageing UK workforce. 1 in 3 of the working age population have a long term health condition. 42% of employees with a health condition felt their condition “affected their work a great deal” or “to some extent”. Source is Labour Force Survey 2012, Health and well-being at work: a survey of employees. Occupational health professionals help employees with multimorbity remain in work by advising employers on adjustments at work, to accommodate reduced work ability. It is a pity that neither the Society/Faculty of Occupational Medicine were recognised stakeholders for this project and that therefore the opportunity was lost for specific, clear guidance within this publication for actively supporting people with multimorbidity to stay in work. Do contact me if you are interested in developing this topical issue as a further area of the guidance in relation to your work. Thank you for this write up. At roughly 72 years old, I fall into the LTC Group.Different hospitals for different problems! I have therefore become an avid reader of all publications that affect all health problems that I have.I strive to attend lectures,when I know about them, in hospitals on topics related to any of my conditions. I am a Patient Rep on different Committees & Forums,so I get to hear about some of such write ups, decisions & changes in policies at meetings, workshops & Forums. The question I always ask is??? Are all these new decisions, policies etc etc, being communicated to GPs?? I always collect leaflets & take them to my GP practice.When I see my GP & mention some of the new changes that I have learnt about & so many etc etc, I get mixed reactions,but mostly Condescending approach,scorn & big brush offffff-How are patients expected to influence their GPs about new guidelines & get them to listen to views in place of being medicated when there are alternatives?? Thank you for your comments on our blog. As a GP, it’s a great pleasure to work with people who want to be partners in developing the care that works for them. This helps get the best results for everyone, and particularly people with multimorbidity, even if it sometimes takes a little longer in the short-term. You asked how patients are expected to influence their GPs and get them to listen to their views. My suggestion would be to speak to your local patient participation group (or PPG) which provide a route for patients to advise practices about what matters most to patients and identify solutions to particular problems (your local practice should be able to give you details or you may be able to find them online). I’d also encourage you to consider the Coalition for Collaborative Care which is a group of organisations and individuals who aim put people with long-term conditions at the heart of their own care.